Dr. Sabry M. Attia is a Professor in College of Pharmacy, KSU, Saudi Arabia. He received his Ph.D. in Genetics at Technical University of Munich, Germany in 2004. Dr. Attia also has worked as a postdoctoral research associate at GSF-Institute of Experimental Genetics and as a postdoctoral fellowship at Helmholtz Zentrum München-Genome Analysis Center, Germany. This period of research was concerned with developing new approaches for drug screening, toxicants detection and prevention. During his scientific career, Dr. Attia has developed an expertise in several advanced techniques and research protocols related to Molecular pharmacology and toxicology. Dr. Attia has more than fifty publications in peer-reviewed international journals. 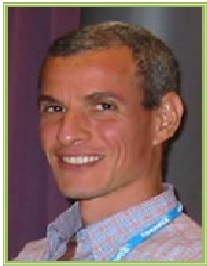 Dr. Attia was awarded “State Prize for Encouragement of Scientific Research”Â in Medical Sciences, the Academy of Scientific Research and Technology, Cairo, Egypt, 2010 and the second prize for the best 2 presentations at the Anticancer Drug Conference 2011, Stockholm, Sweden, 2011. The major components of my research interests are: ïƒ˜ Development and evaluate methods for detection of genotoxicants. ïƒ˜ Characterisation of the mechanism of action of genotoxicants. ïƒ˜ Determination of the no observable effect levels and dose-response relationships of genotoxicants in mammalian cells. ïƒ˜ Determination of the influence of cell cycle checkpoint genes such as p53 upon the induction of DNA damage and mechanisms of action. ïƒ˜ Analysis of the influence of apoptosis induced by genotoxicants upon dose-response relationships. ïƒ˜ Characterisation of the role of mutations in tumour induction and progression and in the production of birth abnormalities and secondary tumours. ïƒ˜ Comparative analysis of the dose-response relationships of genotoxicants in both somatic and male germ cells. ïƒ˜ Analysis of rates of transmission of aneugenic damage in rodent embryos. ïƒ˜ Identification of potential biomarkers of exposure to genotoxicants. ïƒ˜ Other areas include synthesis and biological evaluation of some novel therapeutic drugs and instrumental analysis of drugs in biological fluids by various techniques including; HPLC, capillary electrophoresis, spectrophotometry and flow cytometry. 23. Fayaz Ahmad S, Khan B, Bani S, Kaul A, Sultan P, Abid Ali S, Satti NK, Bakheet SA, Attia SM, Zoheir KMA, Abd-Allah AR. (2013). Immunosuppressive effects of Euphorbia hirta in experimental animals. Inflammopharmacol 21(2):161-168. 25. Fayaz Ahmad S, Sultan P, Ashour AE, Khan TH, Attia SM, Bakheet SA, Abd-Allah AR. (2013). Modulation of Th1 cytokines and inflammatory mediators by Euphorbia hirta in animal model of adjuvant-induced arthritis. Inflammopharmacology 21(5):365-375.